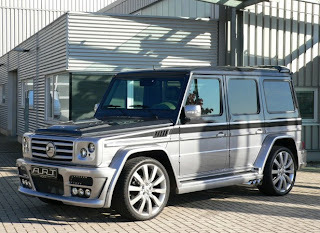 Taking a new spin on the already stellar G-Class, A.R.T created a masterpiece with the streetline Wide Body kit. Its two-toned paint, Magno blue-black and Designo Alanit Gray, and the interior with British Racing Green and Designo Anthracite Gray seats, give this concept G-Class a fresh one-of-a-kind feel. Check out more pictures to see what other amazing details A.R.T. added to this concept.